Hey remember when I used to talk about copyright? Jacobsen manages an open source project called JMRI which is a series of tools for building model railroad controls. All of their works are released under an “open source” license (in this case the Artistic License – however if you’ve got even a passing familiarity with Creative Commons, The GPL, or their ilk… it’s similar). Parts of one of the JMRI’s programs (DecoderPro) was used by the defendants in a competing commercial product. While this isn’t a problem in and of itself under the Artistic License, the defendants didn’t follow any of the requirements of the license to take material from DecoderPro (such as giving credit to the JMRI team, maintaining JMRI copyright notices, making available notice of how the JMRI code was altered, and making the original unaltered program available to anyone who wanted a copy). The legal question then becomes: Since the license would have allowed what the defendant was doing, does their violation constitute a breach of contract, or a copyright violation? 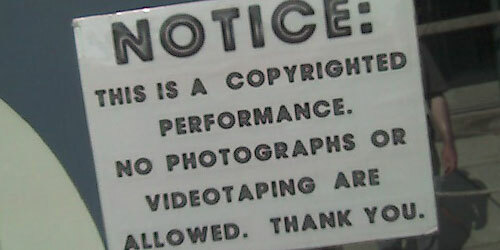 This is important as the types of damages one can seek for a “breach of contract” are significantly less than for a full-blown copyright infringement. The importance to free/open source licenses was even greater than that – one of the complaints against the movement most often levied by critics is that if you voluntarily give up rights to something, it’s impossible to assert them again ever. For example, a certain website in the UK (which I won’t link) has taken to stealing some of our RocketAce videos, replacing the credit and URL graphics at the end and re-posting them as their own creations. They would likely argue that since we provide our videos for free, and encourage people to download, re-post, or even mash them up with new material… this is perfectly within their rights. However a condition of our license (actually the only real condition of our license) is that we remain credited as a creator. Just because we *may* allow something under certain conditions does using a free or open source license preclude us from full legal recourse if those conditions aren’t followed? Defendantsâ€™ alleged violation of the conditions of the license may have constituted a breach of the nonexclusive license, but does not create liability for copyright infringement where it would not otherwise exist. Copyright licenses are designed to support the right to exclude; money damages alone do not support or enforce that right. The choice to exact consideration in the form of compliance with the open source requirements of disclosure and explanation of changes, rather than as a dollar-denominated fee, is entitled to no less legal recognition. Indeed, because a calculation of damages is inherently speculative, these types of license restrictions might well be rendered meaningless absent the ability to enforce through injunctive relief. There are substantial benefits, including economic benefits, to the creation and distribution of copyrighted works under public licenses that range far beyond traditional license royalties. For example, program creators may generate market share for their programs by providing certain components free of charge. Similarly, a programmer or company may increase its national or international reputation by incubating open source projects. Improvement to a product can come rapidly and free of charge from an expert not even known to the copyright holder. The Eleventh Circuit has recognized the economic motives inherent in public licenses, even where profit is not immediate. The commentary and debate has already begun – but this is a major development in establishing president when dealing with Open Source licenses, at least in the U.S. Massive fail. HUGELY massive fail. INCREDIBLY hugely massive fail. Bob Jacobsen is the manager of the JMRI project. Katzer is the infringer. Whew – for a horrible moment I thought I had transposed the plaintiff / defendant order, but it was just a good old fashioned brain-fart.